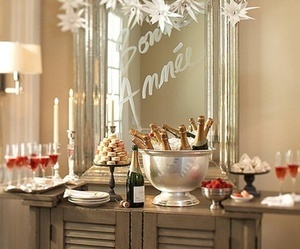 It’s hard to believe Christmas is in the rear view mirror and New Year’s Eve is just ahead! Another reason for friends and family to come together and make new memories. It’s the best part of the holidays! 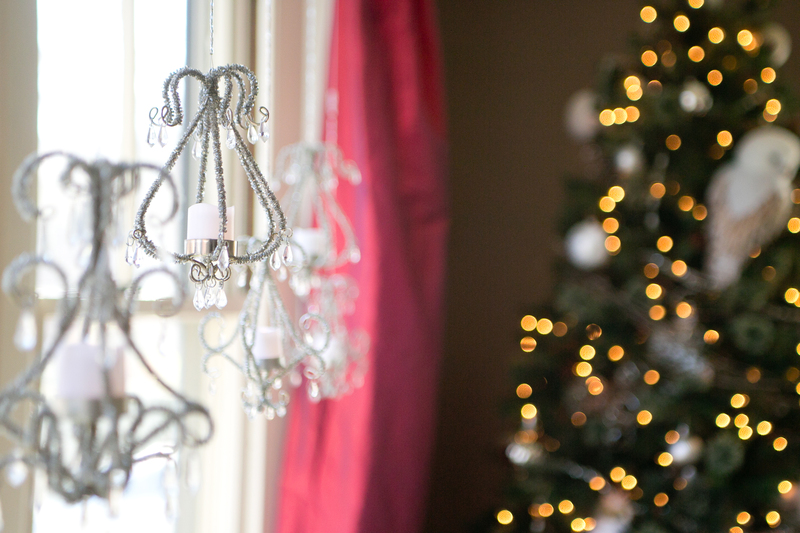 As you prepare for the festivities, here are a few simple decorating ideas to get your home ready! Add a little sparkle to your room! These mini votive chandeliers are beautiful in the windows when lit up at night! 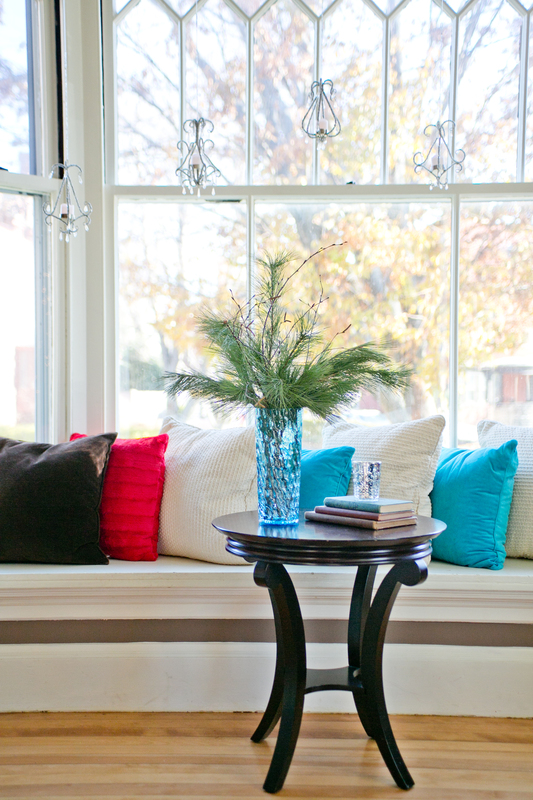 Create cozy seating areas for your guests to gather- like this window seat. Don’t forget to set out small tables for your guests to set down drinks and appetizers. Setting up a bar doesn’t have to be complicated. This one is super simple has everything you need! Wishing you all a happiness in the coming year!! No matter where you are, who you are with or how you choose to celebrate, enjoy each moment! Happy New Year! 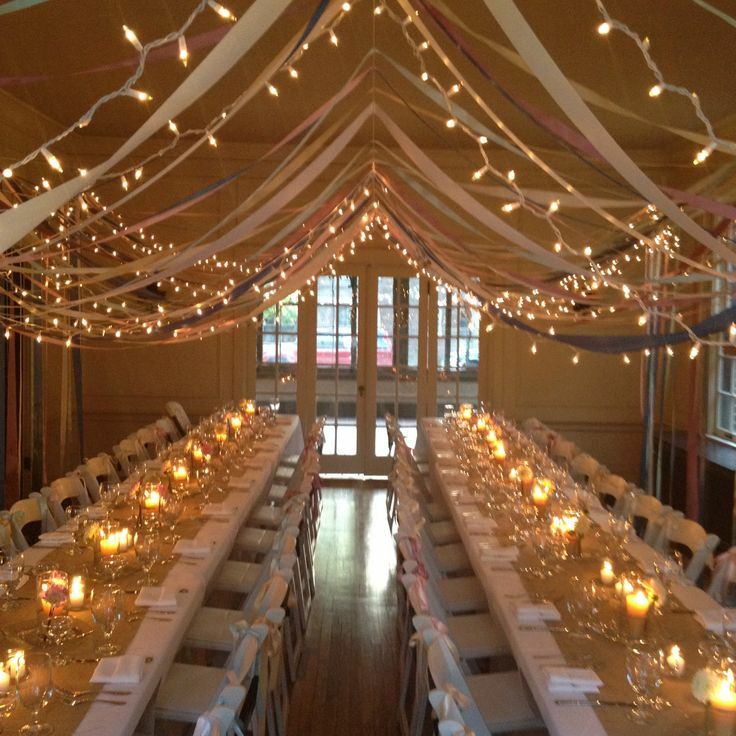 Gallery | This entry was posted in Events, Holiday decorating and tagged Entertaining, Holidays, mini chandelier votives, New Years Eve, twinkle lights. Bookmark the permalink. 1 Response to It’s almost New Years Eve! Wow – gorgeous photos! Love love love the ceiling idea in the second one!